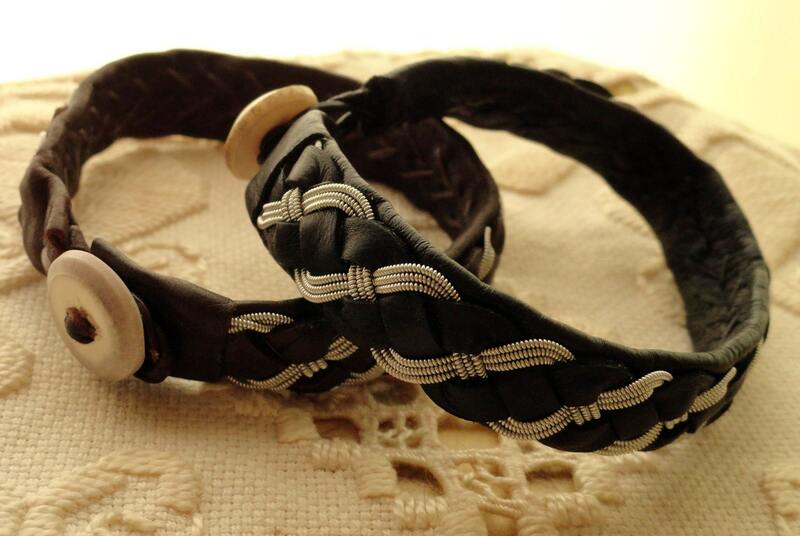 This design is a four-strand weave with leather and pewter thread - named in honor of a great-uncle. 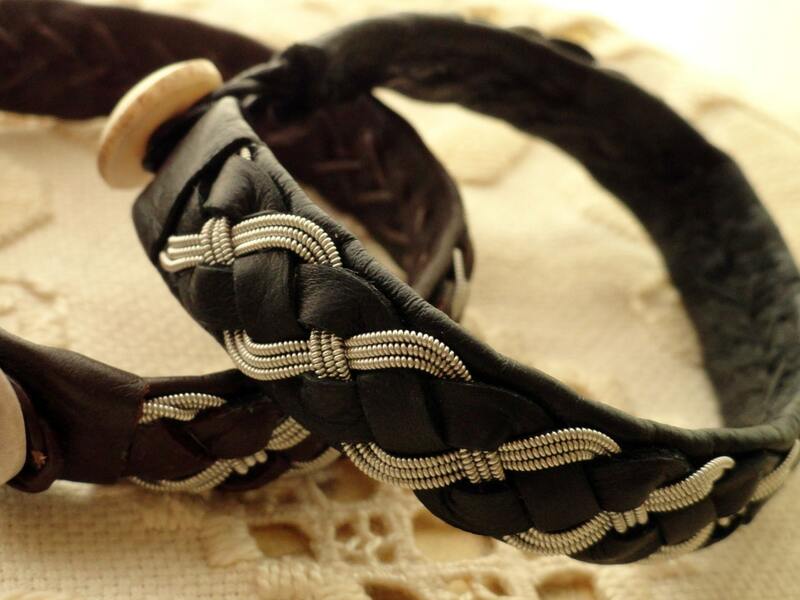 All bracelets are hand-crafted using traditional materials imported from Sweden. Please indicate the size and leather color preference. If a size other than the medium or large is requested, please select the custom size and include a measurement of your wrist. Please allow 2 – 3 weeks for delivery of a custom order.